The MI 3325 MultiServicerXD is a top-of-the-line multifunctional instrument covering diverse industrial applications, where ruggedness and reliability are a must. In Metrel range of the instruments it is introduced as a successor of MI 3321 MultiServicerXA. 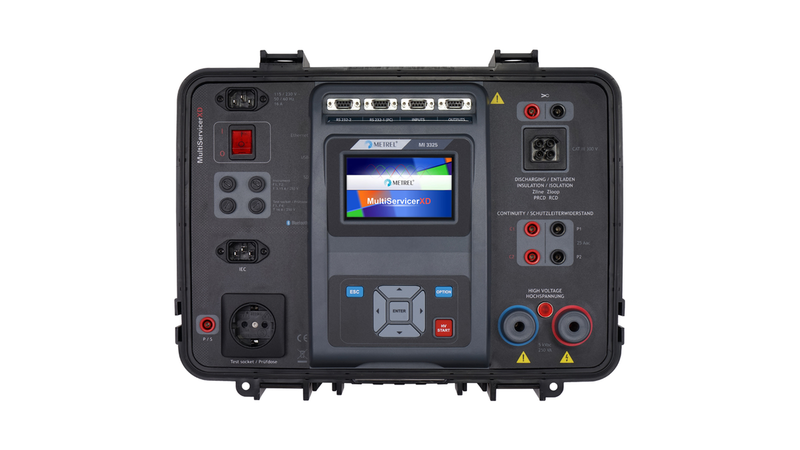 The new platform integrated in the MI 3325 MultiServicerXD features support for colour touch screen technology, advanced memory organizer including large SD card storage media and state of the art AUTOSEQUENCE®s. out the need for special training. For advanced users the Auto Sequences and visual tests are available.